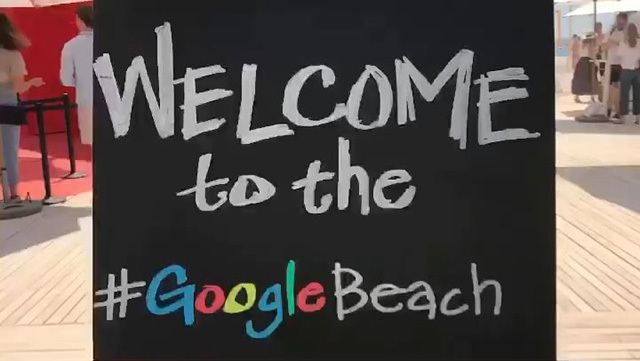 Here is a video from the Cannes Lions International Festival of Creativity that shows Google had another beach party this past year. I remember they did one back in 2012, maybe they do one every year. This was posted on Instagram by YR Live who wrote "3,500 custom #GoogleDoodle caps printed live over 5 days on the #GoogleBeach 🏝 Highlights from @cannes_lions with @set.live and @google."